To use scripts in your regular workflow, you can add them as buttons to the Scripting toolbar. You can add buttons to the Scripting toolbar that are configured to run a specific function in a script and, if you want, give these button a specific icon and tool tip. NOTEFor more information on the Scripting toolbar, see Scripting Toolbar. 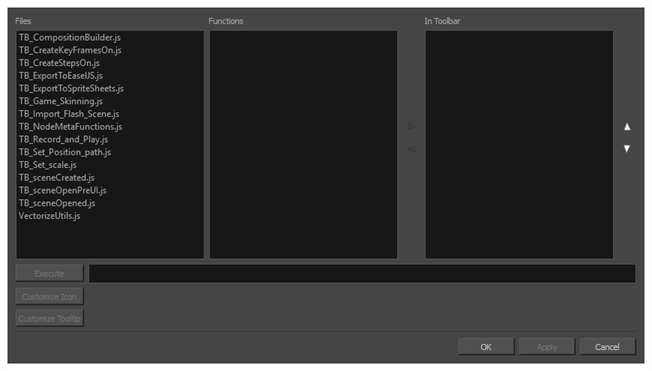 For more information on the Scripts Manager dialog, see Scripts Manager Dialog Box. 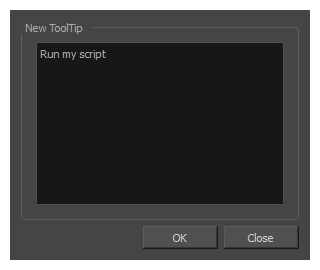 TIPYou can stop a script while it is running by pressing the Esc key or clicking on the Stop button on the Scripting toolbar.